Gerolamo Barbin, born in Murano in 1634, was the first-born son of glass master Zorzi de Zuanne, called ‘Barbin’ and Francesca. Certainly, Gerolamo was the most renowned member of the Barbini clan throughout the whole of the XVII century. His ability as a mirror maker granted him distinguished recognition in the form of Muranese citizenship, in addition to being registered in the Mariegola dell’Arte dei Vetrai, by order of the Council of Ten. In and of itself, this detail wouldn’t be particularly noteworthy, if it weren’t for the fact, that Gerolamo was only twelve years old at the time. In 1661, Gerolamo Barbin married Cornelia Briatti, who would die in childbirth four years later. She would give him two children, Giulia and Zorzi. The latter, like his father, would prove himself as a worthy quari (frame) master, before becoming the owner of a glass furnace, and later earn himself the title ‘Gastaldo dell’Arte’. Zorzi would be the first Barbini in a long line of successors to be elected deputy by the Grand Council (1724). 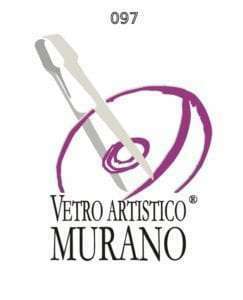 After the death of his wife in 1665, Gerolamo Barbin left for France with a select group of Muranese glass masters, including his brothers Marco and Domenego (or Domenico). Once there, he worked for a well-known Venetian mirror factory in the Parisian neighborhood of Saint Antonine, founded by Minister Colbert who aimed to squelch the predominance of Venetian-made mirrors. 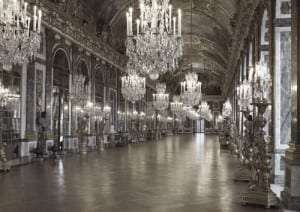 There, he contributed to the creation of the famed ‘Hall of Mirrors at Versailles’ which has since been envied and admired all over Europe. After his Parisian adventure, Gerolamo Barbin returned to his native island of Murano. Once home, he invested himself in his old routine, marrying Antonia Marcochio.